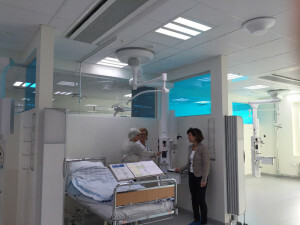 In the recently built operating house at the hospital Centralsjukhuset in Karlstad, health-promoting lighting solutions support good patient care and improve the working environment. ”It is to be the operating house of the future – with the patient as the centre of attention. We are creating the setting for a new patient flow, where the patient only has to go to one place. Furthermore, we are focused on a good working environment and flexibility. 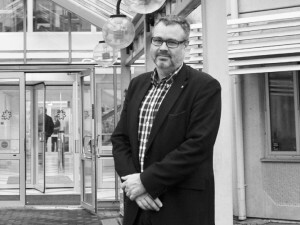 Here, lighting plays an important part”, says Tobias Kjellberg, Healthcare manager, at Region Värmland. With Ergonomic Lighting, the Swedish hospital Centralsjukhuset will have the highest standard in lighting solutions. The operation works really well and can be adapted to the work in the individual room. The lighting is one of the areas that the county council in Värmland has given high priority. 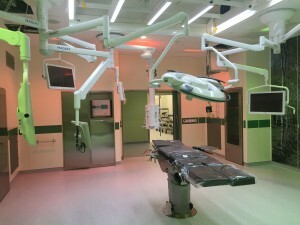 In all 27 operating rooms, Ergonomic Lighting has been installed. ”With the right lighting, we create a better working environment for the staff and good surroundings for the patients. We are currently using Ergonomic Lighting in several operating rooms with good results. The staff reports of less fatigue, and the combination of the complementary colours red and green improve the image quality on the monitor and create a balanced and good light in the whole room. 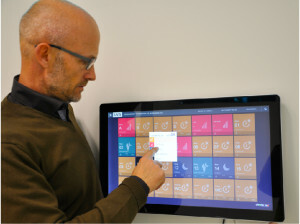 By installing it in all operating rooms of the new building, we ensure that it is being used during all operations”, says Tobias Kjellberg. 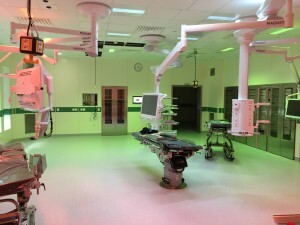 Ergonomic Lighting divides the operating room into coloured light zones that are adapted to the various work functions. The light is programmed with a number of basic settings for before, during and after a procedure. “With Ergonomic Lighting, the Swedish hospital Centralsjukhuset will have the highest standard in lighting solutions. 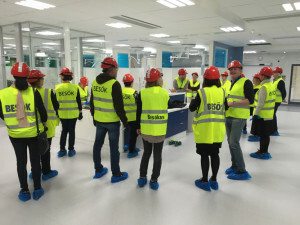 The operation works really well and can be adapted to the work in the individual room”, says project manager Linus Idemark from Sweco, who are the consulting engineers of the construction. Furthermore, the new operating house will have Ergonomic Circadian Rhythm Lighting from Chromaviso in 18 recovery locations, five supervision rooms and 9 intensive care rooms. It is a health-promoting lighting solution that supports the natural circadian rhythm of patients and staff. The combination of the two lighting concepts provides complete lighting. ”We know that patients recover faster with Circadian Rhythm Lighting. We believe that the light has a significant effect – including on the staff. Therefore, we have chosen to give it priority”, says Tobias Kjellberg. Chromaviso has been a good business partner since 2007, where we installed Ergonomic Lighting for the first time. ”Chromaviso has been a good business partner since 2007, where we installed Ergonomic Lighting for the first time. They provide very competent consultancy, and throughout the years, they have proven that they also follow up with user implementation. So, when we had to choose a supplier for the new construction project, we considered factors such as effect, price and competencies. 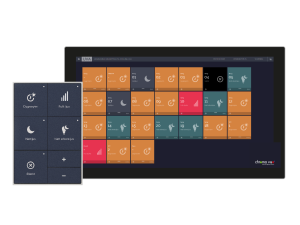 And in than connection, we all agreed that we would get the best complete solution from Chromaviso”, says Tobias Kjellberg.